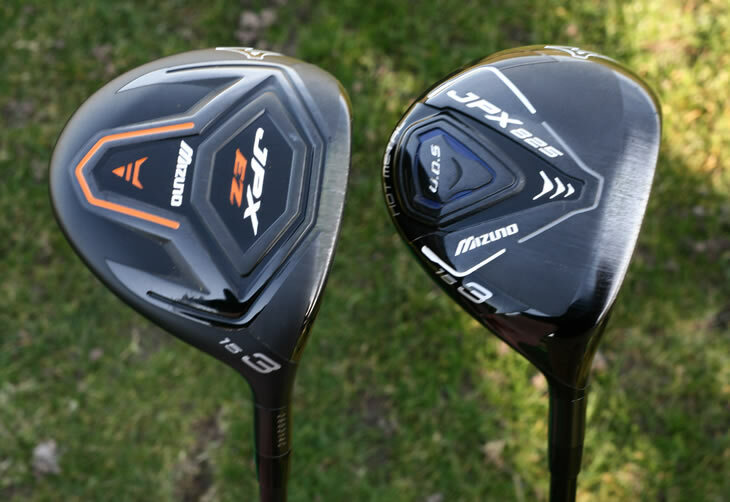 The right JPX EZ fairway wood could retire your driver. That was a quote from Mizuno's engineer, Chris Voshall. A new oversized, deeper design promises more distance and both my driver and I was very interested to see if the JPX EZ would deliver. As you may know JPX refers to the "Japanese Performance Xtreme" idea behind the range. The JPX EZ fairway is certainly Xtremely large. Mizuno has increased and stretched the head design and it was evident when I put it behind the ball for the first time. 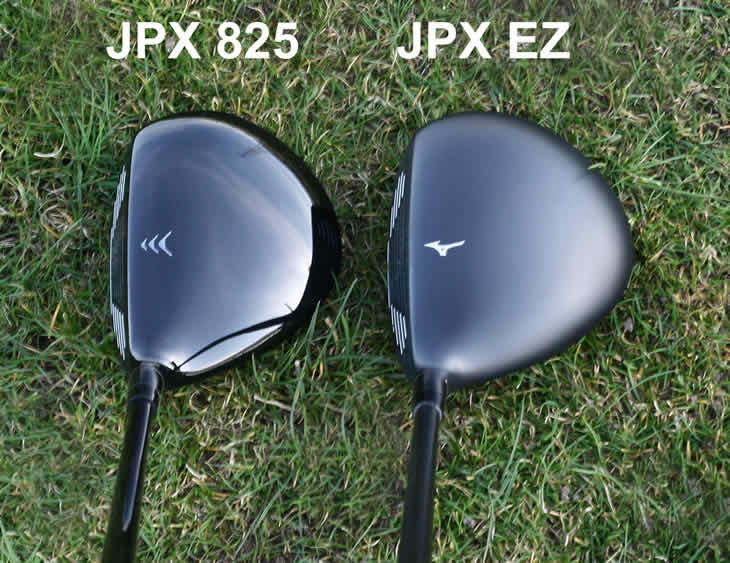 The JPX EZ Fairway is more than 10% bigger in volume than its predecessor, the Mizuno JPX 825 fairway wood. To get that size, Mizuno stretched the crown back away from the face. Whilst the shape looks almost triangular at address, the extra size did give me more confidence before each swing. Mizuno fans will love the new larger, but understated, looks of the JPX EZ fairway. The matt-black finish looks very solid behind the ball and the new orange detailing is a fresh change from the blue Mizuno has long used. A couple of Mizuno runbird logos on the crown and toe give the club a really classy look that sets it apart from the bright alignment aids and face graphics of modern fairways. When you take all that size and add a new, deeper, thinner Hot Metal face you have the makings of a very long hitting fairway wood. 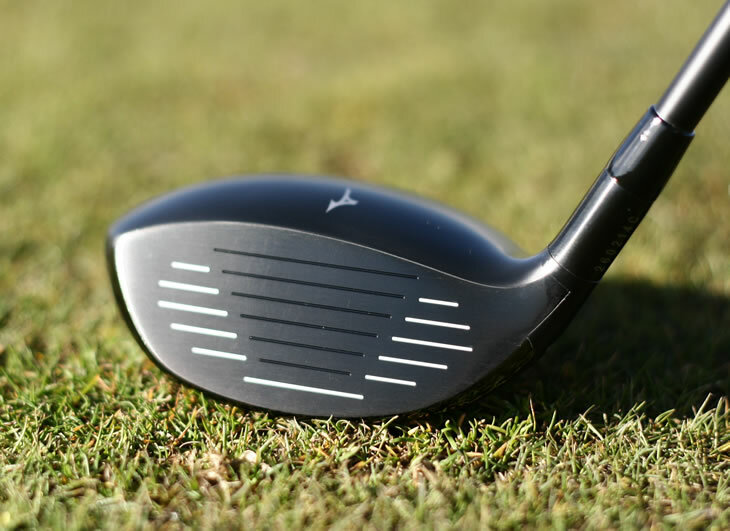 To balance the new face performance, Mizuno shaped the clubhead to keep the centre of gravity low and deep. It didn't take many swings with the JPX EZ to see why Mizuno think this could be a driver replacement. The feel off the face felt more like a driver than a fairway wood. Mizuno, perhaps more than any manufacturer, place a heavy emphasis on sound and feel. I could sense that after just a few shots. Off the tee especially, the club produced a powerful, deep, "thud" sound, different to the clash or "ting" many fairway woods produce. One way the JPX EZ differs from many modern fairway woods is adjustability. Whilst the JPX EZ driver was Mizuno's first adjustable-loft driver, they chose not to add any adjustability to the fairway. Considering the head size and distance-performance of the club, I would have liked to see some minor adjustability to help optimise the flight. However, having spoken with Mizuno it doesn't sound like it will be long until this type of fairway wood adjustability will be available. Length is also an interesting talking point. Many distance-focused drivers and fairways gain precious extra yards by subtly adding length to a club. After hearing about the design of the JPX EZ fairway, I expected to find they had added an inch or so of length to help it compete with players drivers. That is not the case however. 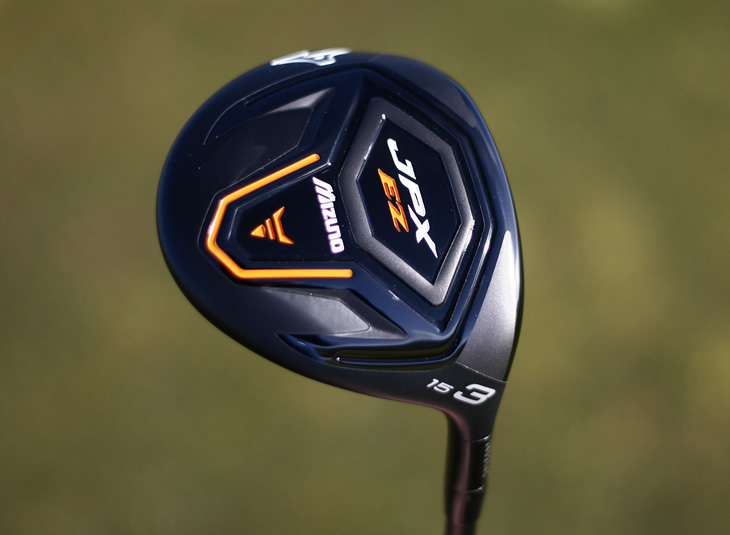 At 42.75 inches, the JPX EZ is actually marginally shorter than most of the headline fairway woods on the market this year. Mizuno told me that this is a hot topic with them and likely many other manufacturers. Do you add length and hit the ball further or limit length and improve consistency and control of the clubface? 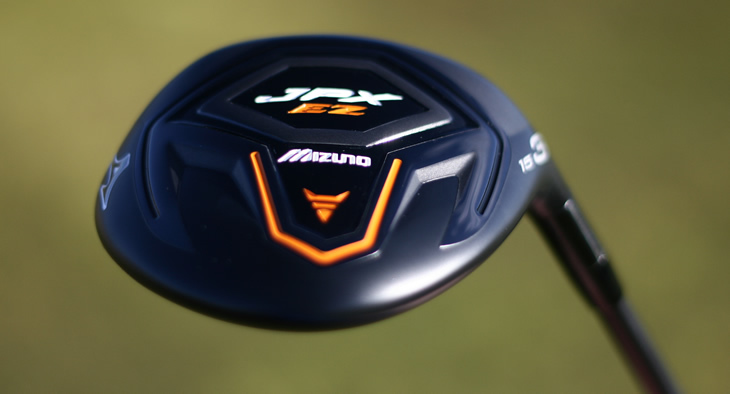 For that reason, players may find the JPX EZ easier to control than they might have thought given its size and speed. Whilst there are a range of custom shafts, the standard graphite shaft Mizuno have paired the JPX EZ is the 70-gram Orochi Black Eye shaft. Whilst I thought it felt longer in my hands, it is the same length as the JPX 825 fairway wood. The shaft graphics have been branded up to match the new orange-detailed JPX EZ line and look great on the club. During the swing, the shaft felt strong, yet light and lively, and again mirrored the feel of a small-headed driver almost more than a fairway wood. One thing that struck me was the better-player appeal of the design. Whilst Mizuno would say the JPX EZ range is for all golfers, the JPX line has always geared itself for mid handicaps and above. The look and feel of the JPX EZ fairway suggested to me that it might be the low handicappers that like it best. It didn't feature much, if any, offset and launched mid to high. The deep face design seemed to produce a lower-spinning flight before and seem to gain 5 or 6 yards more than the JPX 825 model. For that reason I'd recommend it to low and mid handicap players. To get the most from the technology, you need to strike the JPX EZ fairway mid to high on the face, much like a driver. The majority of higher handicap players tend to hit low on the face, and the performance of these shots did suffer. It may not be built for workability, but it is certainly built for purpose. And that purpose is tee shots. It doesn't sit as low to the ground as other models, so if you use your fairway wood from the fairway or semi-rough a lot, it may not be for you. However, with a little swing speed the JPX EZ went a long way. Be warned, it could create a gap in your bag below your 3 wood, so it's perhaps worth considering the 18-degree 5-wood and basing your decision on distance-gapping rather than distance-gained. Regardless, this is a serious weapon, especially off the tee. Tip of the cap to Mizuno on this one, my driver is officially concerned! The redesigned fairway wood that will challenge your driver for more tee shots.